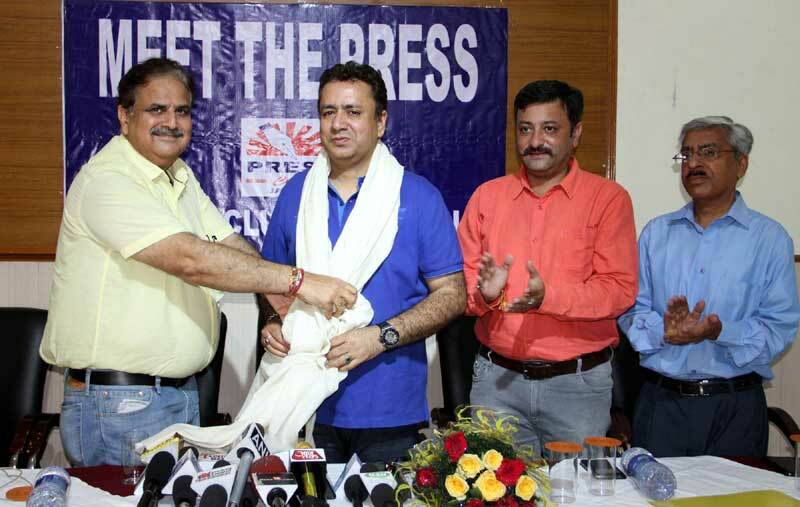 Jammu, August 08: Asserting that the state of Jammu and Kashmir is aware of hardships being faced by the working journalists, Minister for Information Choudhary Zulfikar Ali today said that various welfare schemes are in the pipeline. 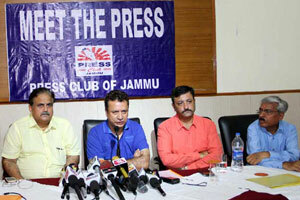 “The Chief Minister Mehbooba Mufti is very much keen in the welfare of the journalists and keeping in view her considerations, the department is taking various steps to introduce various schemes in the interest of the fourth pillar of the society,” Zulfikar said while interacting with media persons at ‘Meet The Press’ programme organised by the Press Club of Jammu. 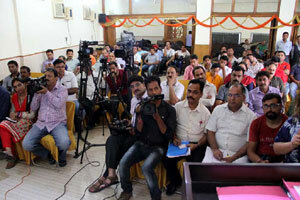 He however, also made specific mentions of various welfare schemes like pension for journalists post retirement, health insurance cover, welfare fund for working and accredited journalists. 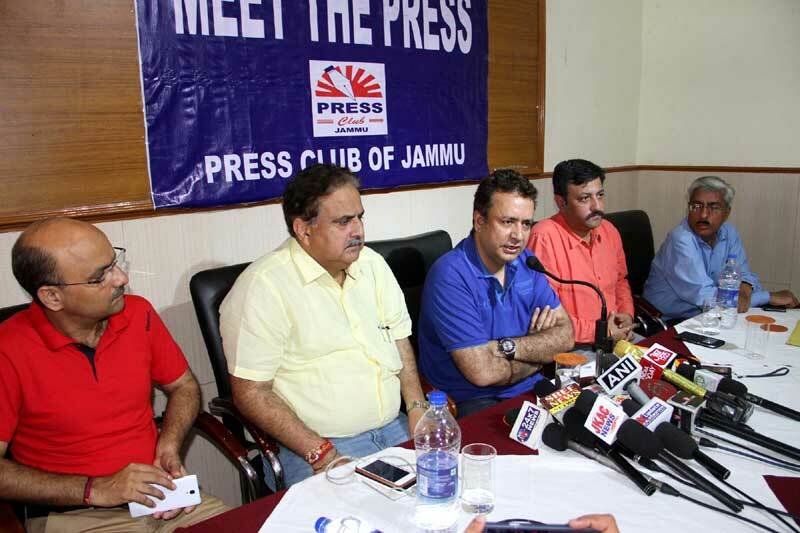 “We will take up the matter with the Chief Minister and you (journalists) come up with a proposal so that a comprehensive policy can be framed and implemented soon,” said Zulfikar Ali. 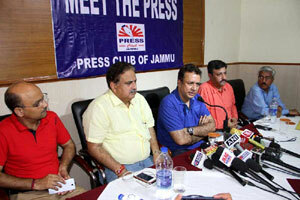 The Minister also lauded the Press Club Jammu managements committee for their efforts in uplifting the standard of the body as it has been raised as an institution of think tanks, who are not only nurturing the budding journalists with their experience but also helping in the development of the state by their constructive ideologies. 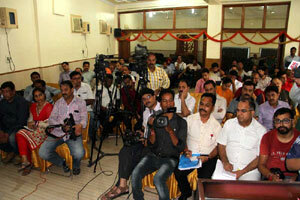 Replying to certain queries at open platform the Minister said, “journalists are fourth pillar of the state and they are positively as well professionally contributing in their field.” “They (journalists) must portray good picture of Jammu and Kashmir leaving aside some ‘disturbed’ parts in the region as terrorism is having global effect, which does not means that the whole world is affected,” he asserted. Journalists are facing tough challenges in the field in the state having tough terrain, climatic conditions and security threat, adding, “I assure you that the government is aware of your difficulties. 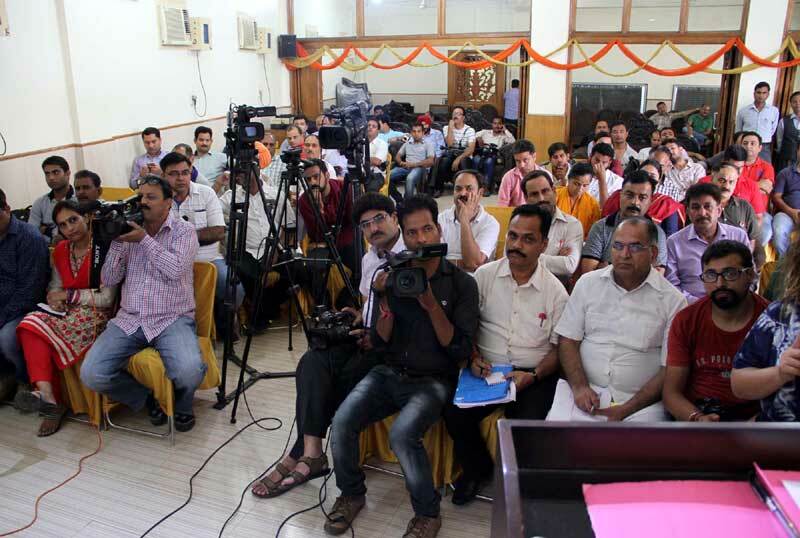 We will frame a policy and take others measures into consideration for the welfare of the fraternity.” On social media groups circulating fake news, the Minister hinted at tightening noose against them. The Minister also asked his subordinates to keep check on newspapers not subscribing news agencies but publishing their news items without giving credit. 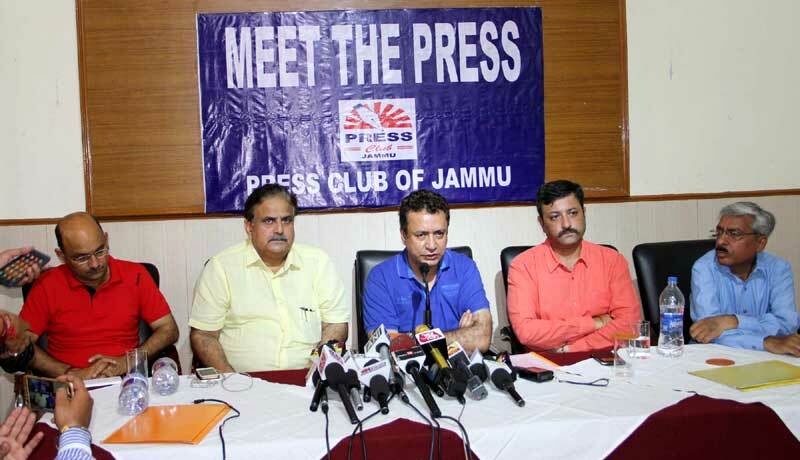 President Press Club of Jammu Ashwani Kumar putforth before the Minister challenges and difficulties being faced by the working journalists and requested him to look into measures in the interest of men. 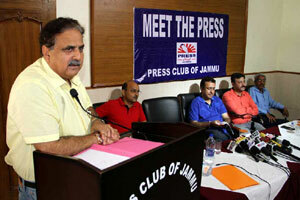 He apprised him of developmental schemes and said, “this is the only Club in the state providing insurance cover to journalists in the time of crisis and we want that the government should also come forward so that the journalists have secure and safe future.” Secretary General Press Club of Jammu Zorawar Singh Jamwal while hailing the government for supporting financially in Kashmir valley to come up with a Press Club, sought help in further development of the Press Club of Jammu. 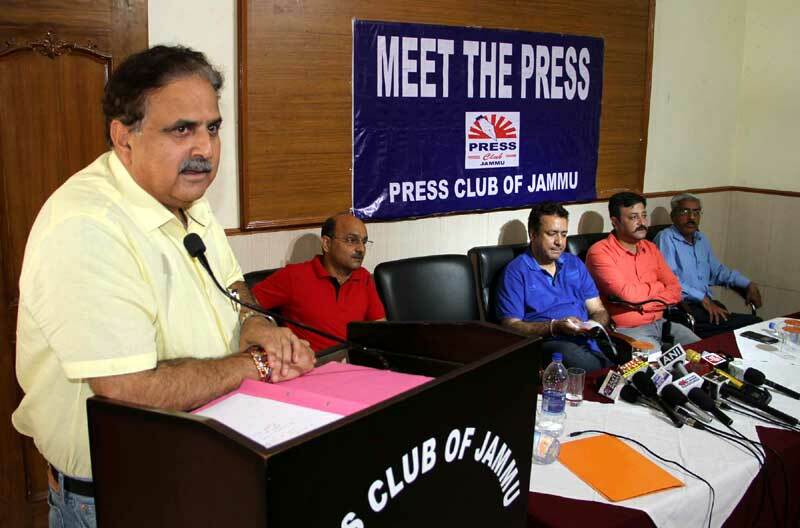 “The infrastructure raised by the Press Club of Jammu so far is on its own with the contribution of its members but we want government should also support in the development of an institution so that the fourth pillar can further be strengthened,” said Jamwal. 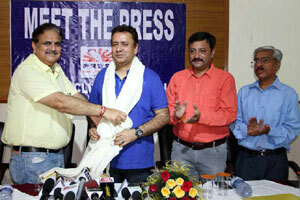 Present on the occasion included Abhimanyu Sharma, vice president, Dinesh Manhotra, Treasurer and members executive committee Ajay Bachloo, Pawan Sharma, Deepak Khajuria, Dinesh Mahajan, Surjeet Singh, Nishikant Khajuria and Vishal Bharti.